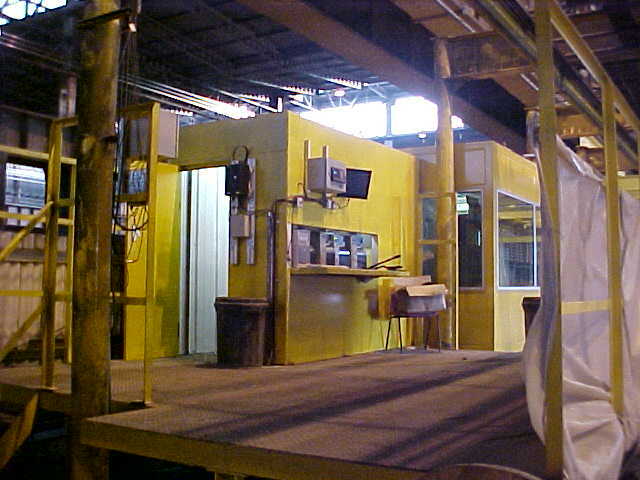 Production control facility for a wire rod rolling mill operated by the worlds leading steel maker. To design, manufacture, deliver and install the required facility, this being of approximate overall dimensions13.4m long x 2.6m wide x 3.5m high. 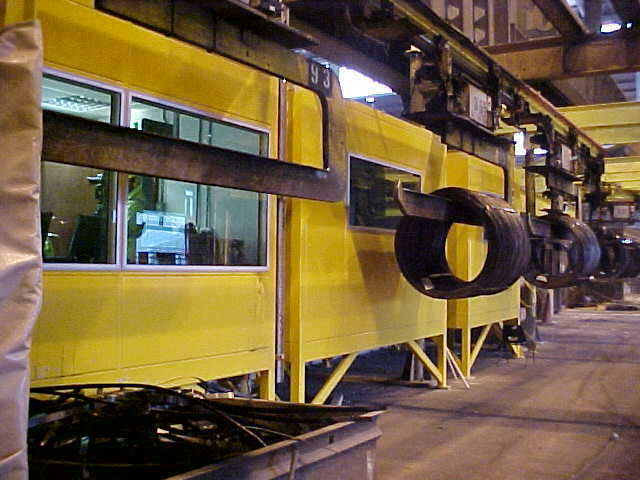 An overall heavy duty construction being fit for purpose and suitable for service in an industrial environment such as the that experienced in the steel making industry, thus providing a safe working environment for operations and maintenance personnel. 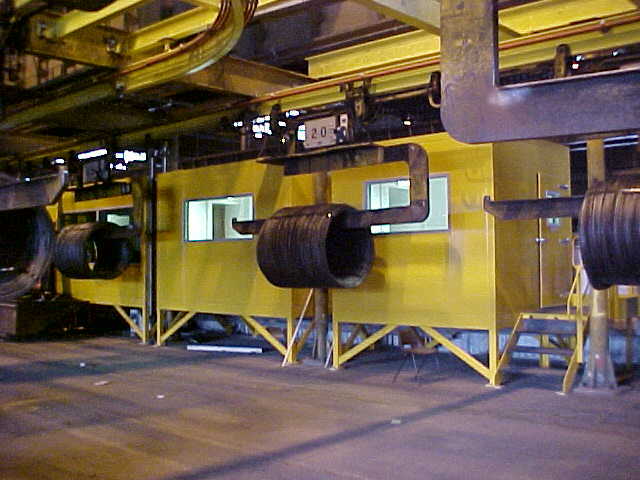 The whole facility elevated for ease of access to the coil handling system (fabricated Tally Stand, access stairs, handrailing, Durbar floor plates / stairs-treads being all inclusive). 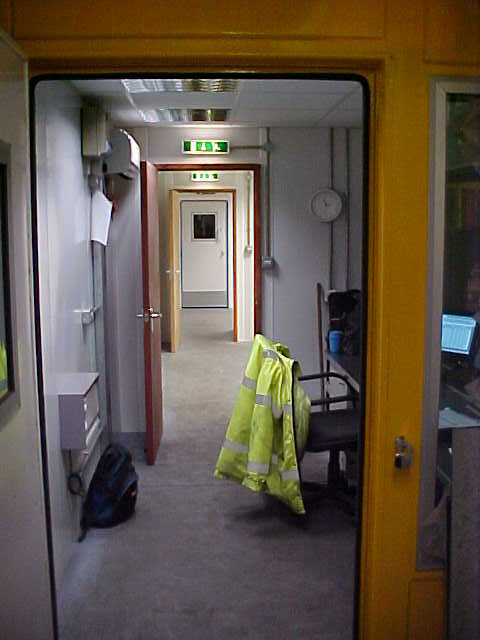 Internal partitioning throughout to form the Stock-Takers Office, Mess Room & Team Leader Planning Area, all accessed via numerous single man access doors (for personnel entry, egress & emergency exit) & interconnecting passageways. 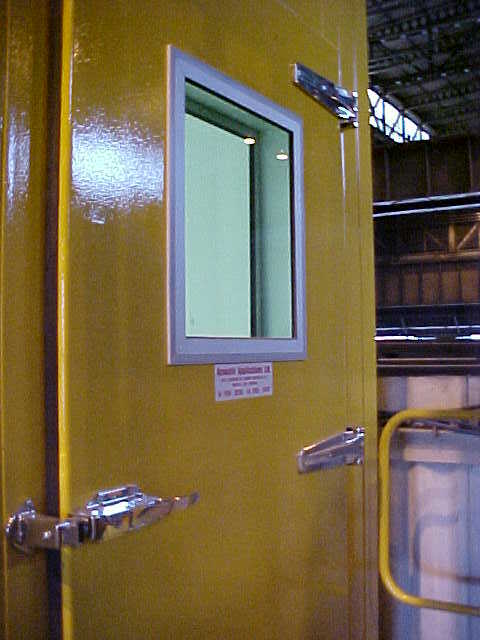 Acoustically insulated vision panels (manufactured in tinted, heat reflective safety glass) providing operational personnel with a required overview of the mill and the `Stocktaking’ activities (whilst offering protection from hot metal glare). Turnkey package included the provision of suspended ceilings, modular & emergency lighting, mains power & data transfer services, finished floor overlays etc. Commercial type air conditioning unit (ducting, ceiling mounted diffusers & air return grilles etc. 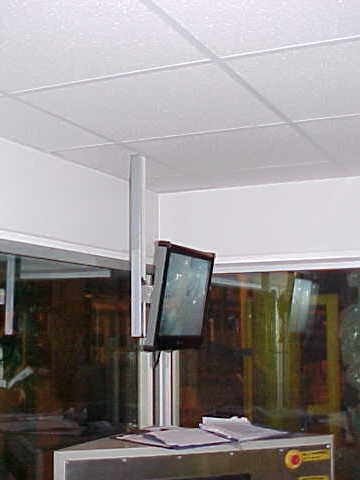 all inclusive) ensures total comfort of personnel and the satisfactory operation of the installed electrical, computer & visual display equipment (Monitor hanging bracket system facilitates the mounting of the necessary visual display units at high level, as per the end users requirements). 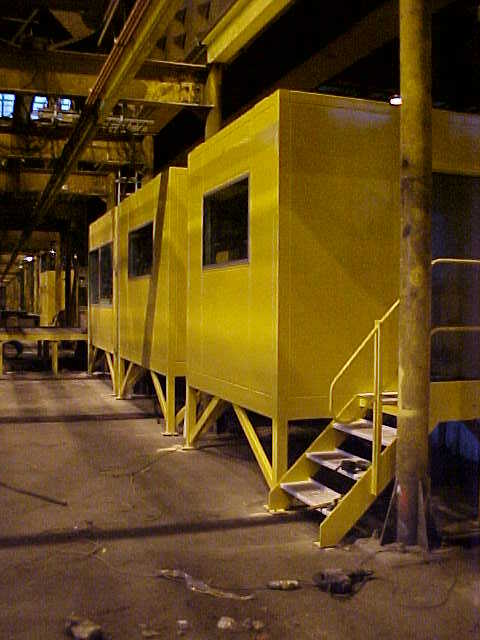 The office construction provided a 30dB reduction from factory ambient noise levels, allowing personnel to effectively communicate in a stress-free, comfortable environment.